Connor Geal, 24, of Parham Road, Findon Valley, was discharged conditionally for 12 months and must pay £50 compensation, £20 victim surcharge, £350 costs, after being found guilty of assault by beating in Worthing on August 19, 2018. 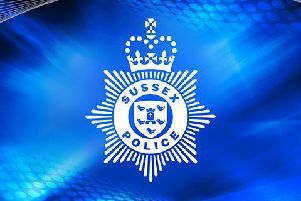 Henryk Galuszka, 40, of Mill Road, Worthing, was discharged conditionally for 12 months and must pay £20 victim surcharge after admitting disorderly behaviour while drunk in South Farm Road, Worthing, on March 15, 2019. Katrina McHale, 43, of St Lawrence Court, St Lawrence Avenue, Worthing, was fined £80 and must pay £30 victim surcharge, £85 costs, after admitting drink-driving (51mg of alcohol in 100ml of breath) in Upper Brighton Road, Lancing, on March 14, 2019. She was disqualified from driving for 36 months. Simon Jones, 45, of Phrosso Road, Worthing, was fined £615 and must pay £61 victim surcharge, £85 costs, after admitting driving over 70mph on the A23 Albourne on June 26, 2018. His driving record was endorsed with three points. Billy Beeney, 23, of Woodlands Avenue, Rustington, must pay £60 costs after admitting breaching a community order by failing to report for unpaid work on March 2, 2019, and an appointment on March 7, 2019. The order was varied to include a new eight-week curfew, electronically monitored, from 8pm to 6am. Kirsten Hocking, 27, of Lyndhurst Road, Worthing, was fined £50 and must pay £60 costs after admitting breaching a community order by failing to attend appointments on February 18 and 25, 2019. Jordan Jackson, 26, of Coach House Close, East Preston, must pay £60 costs after admitting breaching a community order by failing to report for unpaid work on February 16, 2019, and leaving the work site without permission on March 2 and 10, 2019. The order was revoked and he was fined £120 for the original offence of failing to provide a specimen of blood for analysis when required in Brighton Road, Shoreham, on October 13, 2018. Matthew Crisp, 38, of Upper Berwick, Berwick, was fined £220 and must pay £30 victim surcharge, £85 costs, after admitting drink-driving (52mg of alcohol in 100ml of breath) in Crockhurst Hill, Worthing, on October 13, 2018. He was disqualified from driving for 14 months. Samuel Glossop, 42, of Total House, Tanyard Lane, Steyning, was given a community order with Rehabilitation Activity Requirement and must carry out 100 hours’ unpaid work after being found guilty of assault by beating in Steyning on December 26, 2018. He was also given a restraining order and must pay £100 compensation, £85 victim surcharge, £85 costs. Darren Jestico, 27, of Quantock Close, Worthing, was given a community order with Building Better Relationships programme requirement and Rehabilitation Activity Requirement, and must carry out 80 hours’ unpaid work after admitting assault by beating in Sompting on January 11, 2019; damaging a window in Sompting on January 11, 2019; and harassment without violence in Sompting by sending 238 messages and calling 70 times between January 11 and 14, 2019. He was also given a restraining order and must pay a total of £250 compensation, £85 victim surcharge, £250 costs. Lisa Davitt, 43, of Byron Road, Worthing, must pay £200 compensation, £85 costs, after admitting causing £200 damage to a reinforced window belonging to Turning Tides in Worthing on March 18, 2019. Luke Guy, 25, of Ringmer Road, Worthing, was given a community order with Rehabilitation Activity Requirement and must carry out 100 hours’ unpaid work after admitting taking a vehicle without consent and before it was recovered, damage was caused in Worthing on January 19, 2019. He must pay £85 victim surcharge, £85 costs, and was disqualified from driving for 12 months. He was fined £200 after admitting driving without insurance. He also admitted failing to report an accident which caused damage to a street lamp in Warren Road, Worthing, on January 19, 2019, no separate penalty. George Harding, 32, of Winton Place, Worthing, was given a community order with Rehabilitation Activity Requirement after admitting having a FatMax locking saw blade in Brighton Road, Worthing, on April 29, 2017; and having a Stanley knife in Brighton Road, Worthing, on April 29, 2017. He must pay £85 victim surcharge, £400 costs. He admitted breaching a suspended sentence order, no action taken. Peter Mitchell, 20, of Nepcote Lane, Findon, was fined £320 and must pay £32 victim surcharge, £85 costs, after admitting drug-driving (7ug/l Delta-9-TCH) in Nepcote Lane, Findon, on October 6, 2018. He was disqualified from driving for 12 months. Sam Brown, 28, of Glebelands Close, Shoreham, was given a community order with Rehabilitation Activity Requirement after admitting stealing various items in Orme Road, Worthing, on December 12, 2018; fraud by false representation, using a stolen card to purchase goods worth £24.71 at Tesco Express, South Farm Road, Worthing, on December 12, 2018; and fraud by false representation, using a stolen card to purchase goods worth £24.98 at Best One Express, South Farm Road, Worthing, on December 12, 2018. He must pay a total of £49.69 compensation. Nabiullah Khan, 21, of Sackville Road, Worthing, was given a community order with Rehabilitation Activity Requirement and must carry out 120 hours’ unpaid work after admitting two charges of intentionally touching a woman aged 16 and over in a sexual way, without consent, one in Brighton on April 21, 2018, and one in Haywards Heath on May 26, 2018. A sexual harm prevention order was made for five years and he must pay £85 victim surcharge, £85 costs.